Others have been robbed while fixing power lines or water pipes. 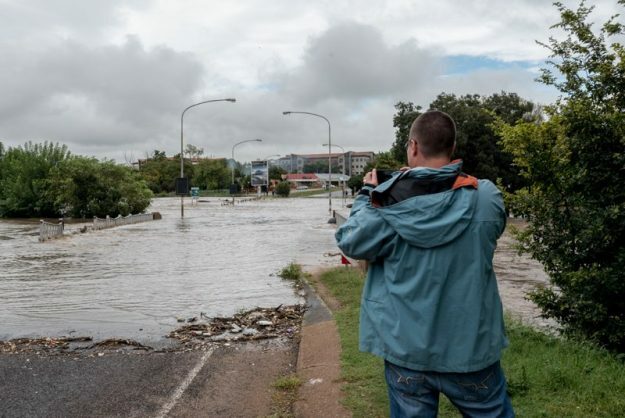 In the wake of flash floods and heavy rainfall last week, criminals are hampering mop-up operations and service restorations in the City of Tshwane, with one senior official being hijacked while supervising a callout. City personnel have been attacked and robbed, City of Tshwane spokesperson Selby Bokaba said. A director of energy in the city, who was on a callout in Nellmapius, Mamelodi on Saturday, was attacked by armed hijackers who took his car and cellphone. “He was not harmed, but they took his vehicle, phones and belongings. These are some of the challenges we are faced with. “Some of our managers are driving their private vehicles to ensure our people get services, but they are exposed to danger. Their belongings are taken at gunpoint,” Bokaba added. Technicians and electricians have been working around the clock to fix power outages that had left close to 80% of the city in the dark. Staff were “thinly stretched”, with each getting between four to five hours sleep before resuming duty, he added. Most of the city had power again, but a substation on Eland Road in Koedoespoort was “completely vandalised” so there will be no power there for several days. The city’s roads were covered in mud and debris after floods followed two days of non-stop rain. Many parts of Pretoria had power outages or burst water pipes for more than 48 hours. Roads were closed as potholes formed, with one car falling into a three-metredeep sinkhole on the R55 near Valhalla.